Dreams.pk is a well-known online leasing website in Pakistan, which is recognize among its customers for offering flexible installment plans. We have a massive collection of mobiles, LEDs, home appliances, motorbikes and many more on our site. 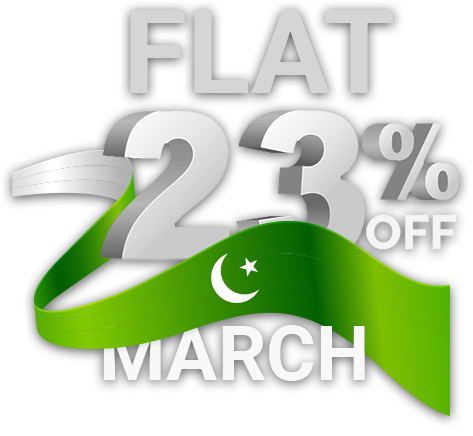 Here in this category, we are offering Apple mobiles on easy monthly installments in Pakistan. Many consumers across the globe wish to buy Apple mobiles like iPhone X, iPhone 7 plus and more but don’t have the money. Well, they don’t have to worry now, as Dreams.pk have it covered now. Whether which Apple mobile you want to buy, you can get it here on both cash and EMI online. We here offer competitive rates on all Apple mobiles for the convenience of our customers. There are many consumers who belong from middle class in the country and have a dream of buying an Apple mobile. They save money for many years to buy this popular brand mobile for their use. However, now they don’t have to wait for years to buy an Apple mobile on cash, as Dreams.pk is here to help them. Awais Farooq, who is the proud founder of Comparebox.pk is also the founder of this website. He has especially introduce this site for consumers who are not able to buy their favorite products due to shortage of money. We have a massive collection of Apple mobiles, which allows the consumer to buy their favorite mobile on EMI online. IPhone is a line of cell phones compose and advertise by Apple Inc. They Apple smartphones run iOS portable working framework. Original iPhone came on June 29, 2007, and there have been numerous new equipment cycles with new iOS discharges since. The first iPhone was portray as “progressive” and a “distinct advantage” for the cell phone industry. More up to date cycles have likewise gather acclaim, and the iPhone’s prosperity has been attribute to making Apple Mobile one of the world’s most profitable traded on an open market organization. Today, iPhone has become symbol of luxury and it is most used and love luxury smartphone all over the world. To get this dream phone, dreams.pk has amazing deals for you. You can now buy iPhones at great prices and easy installments on dreams.pk with 0% markup and no down payment. The popular iPhone 5 and 5S were trailed by the bigger iPhone 6, with models including 4.7 and 5.5-inch displays. The iPhone 6S was presented with highlighted equipment updates and support for heavy contributions, and additionally, the SE which included equipment from the 6S, however, the littler shape factor of the 5S. These became even more popular amongst the masses are still in use, they have proved to be one of the best and most feasible smartphones. You can buy cheap iPhone 6 on dreams.pk at the best rates online and also with the facility of easy installment plans. In 2016, Apple smartphones uncovered the iPhone 7 and 7 Plus, which includes water protection, enhanced framework and illustrations execution, another double rear camera setup on the Plus model, and new shading alternatives, while evacuating the 3.5 mm earphone jack found on past models. This smartphone is steaming hot at the moment, gaining more popularity than the latest releases from Apple smartphones, this iPhone 7 has been one of the most favorites in Pakistan. You can buy iPhone 7 and 7 plus online on great rates and easy installments with 0% markup on dreams.pk. The iPhone 8 and 8 Plus were introduced in 2017, including a glass back and an enhanced screen and camera. This latest release has also gained a lot of popularity and iPhone lovers can buy this phone on dreams.pk at easy installment plans of your choice. The iPhone X was launched after the 8 and 8 Plus, with its features being a close bezel-less plan, an enhanced camera and another facial acknowledgment framework, named Face ID, yet having no home catch, and consequently, no Touch ID. You can buy iPhone X online at great rates and easy installments with 0% markup on Dreams.pk without going extremely heavy on your budget.